Here I am in the hotel room while Billy is getting some sleep. Poor boy has been unwell since last night but we stuck to our plans to head into JB to get our wedding invites for the Holy Matrimony printed. I'm pretty relieved that the wedding invites have been settled and they'll be ready for collection in 2 weeks' time. That's one more item off the list. Next week, we're gonna get our Banquet Invites settled too. I quite fancy coming into JB reason being that our exchange rates make it very favourable for Singaporeans to spend money here. The food here is cheap. The shopping here is marginally cheaper. And so are the cookbooks. 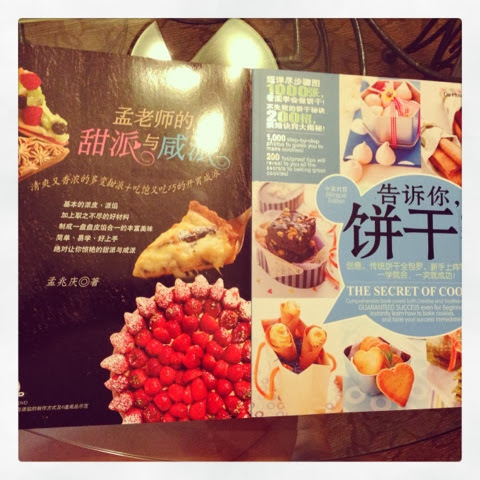 I've just added two more cookbooks to my extensive collection. They're some what cheaper than what we'd pay in Singapore. They'd actually be cheaper if I brought my Popular Card! However, being the lazy me, I really hate carrying tons of cards that I hardly use most of the time. After all, in Singapore Popular Stores, I can simply use my IC for verification purposes. Nevertheless, new cookbooks on top of the other two that Billy got me from Hong Kong earlier this week makes me a really happy girl! In fact, he's even gotten snacks for my family, Kinder Surprise (one of my absolute favourite! ), toner and even a bottle of Baileys for me! I'm truly blessed. I shall go grab some rest before we head out for dinner later tonight. 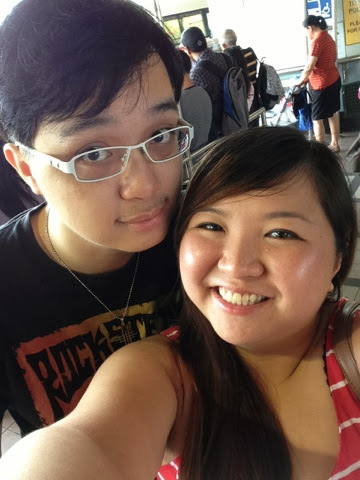 So here's a picture of us before we took bus 950 into JB! Hi. May i know where you buy the kinder surprise at johor bahru? 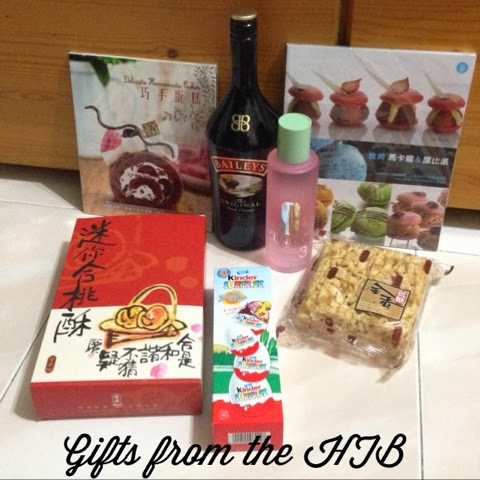 Could you email me nwc81@yahoo.com.sg or 97386548? thanks for sharing this recipe. Can I check if I can use other items to replace alcohol as this is meant for children? which recipe are you referring to pls? This blog post does not feature any recipe.